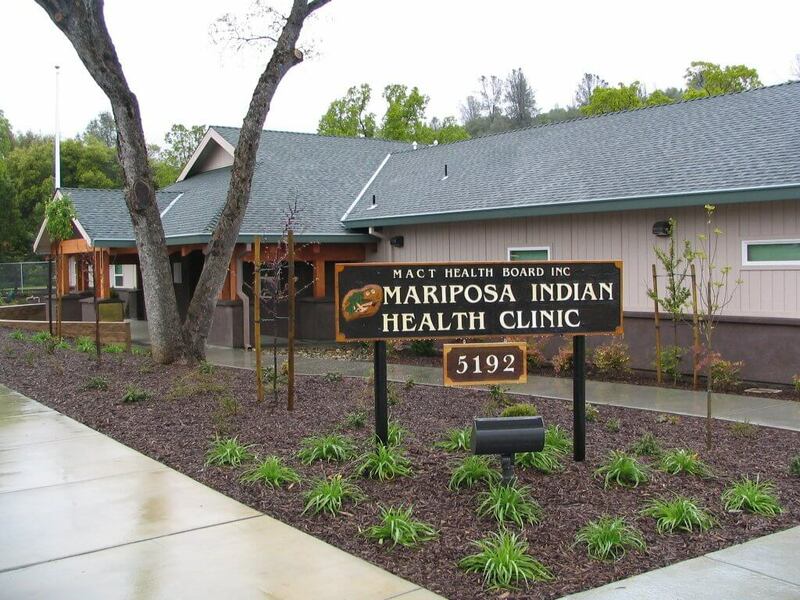 This 4,800-square-foot facility provides modern medical and dental needs for several tribes in Mariposa County. 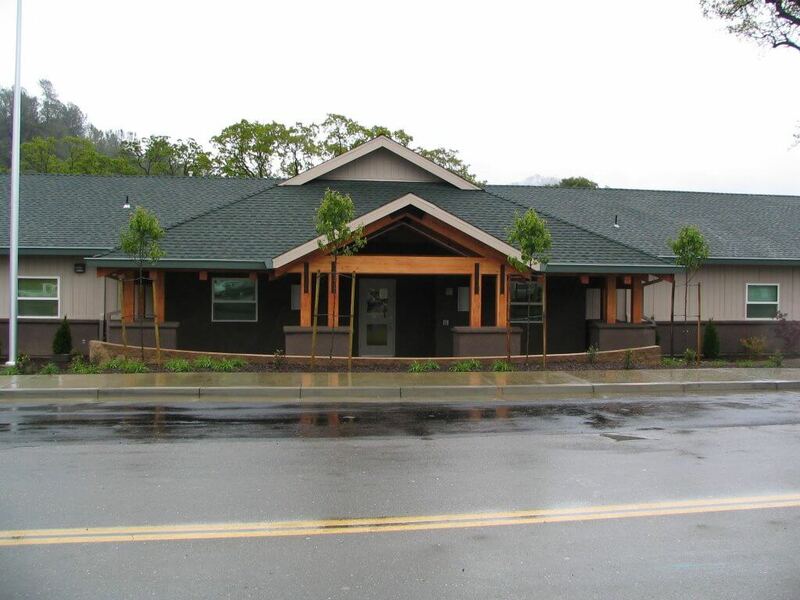 The building is a 1-story, wood frame on a concrete slab structure with composition shingle roof, stucco veneer, vinyl windows and acoustical ceilings. 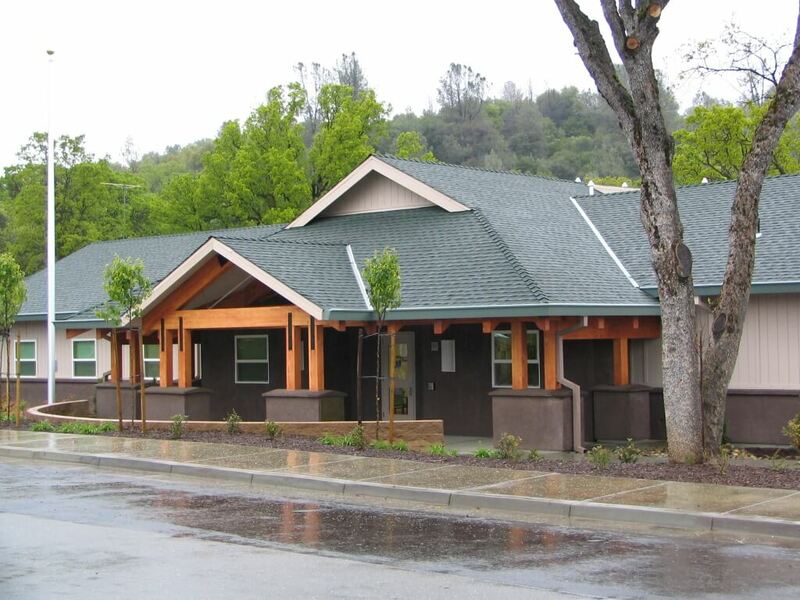 The architectural design blends with the natural, wooded area. 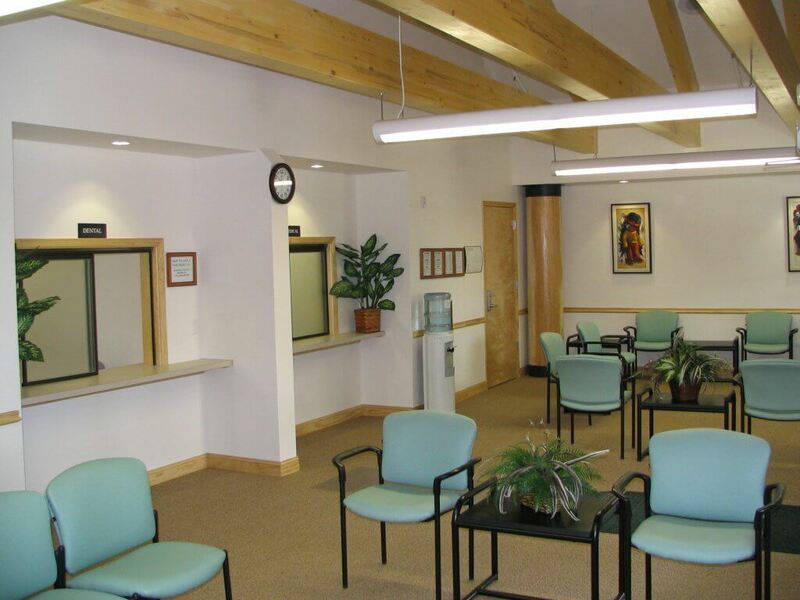 The lobby features rough sawn red cedar logs at all four corners of the room with tongue and groove ceiling planks. © 2019 Flint Builders | All Rights Reserved.